Merry meet and merry greet to all who have found us. Welcome to Coven Life which is home to an online coven and a school that offers courses for novice and adept witches. Please scroll down to get the link for class information. The main purposes of the Coven Life website and the Coven Life’s Elders is to teach novice and adept level witches. 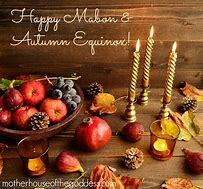 To have an online coven where anyone that practices The Craft will feel welcome to join us for gatherings on Esbats and/or Sabbats and/or for our open chats. Thank you for stopping by! Grab a beverage and a snack if you want and cruise through our pages for informative and interesting articles about many different pagan paths and other information relating to The Old Ways/The Craft. Our site is a little unusual for a witchcraft website because as a school for new witches we also try to incorporate articles about things happening on or to Mother Earth. So don’t be surprised if you come across articles about endangered animals, or archeological digs that have led to finding temples or cities connected in some way to The Craft or a God and/or Goddess. If you would like more information on a specific topic please let us know by sending an email to covenlifescoven@gmail.com and we will see what we can do about getting you some information posted on the website. Please do not expect a direct email to you from your inquiry for the topic you ask about unless it has to do with becoming a student or coven member. We come together in peace, love, and harmony as brothers and sister to learn from and teach one another, to rejoice in honoring the Goddess and her Consort. We come from many different traditions of witchcraft to form an eclectic website and coven. We are all open-minded and try to let everyone voice to be heard. If you would like to submit an original article to appear on this website please send the article and the name you would like to use for us to give credit to the author. The Coven Life Elders will review it before we post it. We will send you an email telling you if it was accepted to be posted or not. If we are not going to post it we will explain why. Send your article for consideration to covenlifescoven@gmail.com Please put “Article for Consideration” as the subject line. Thank you. Before the sacred circle starts at 7:00 PM Central Time in the USA anyone entering the chat room is welcomed to socialize with anyone else that is there. Socializing time starts at 6:00 PM CT for Esbat and Sabbat gatherings Ask Lady Beltane or one of Priestesses or Priest questions about lessons or anything else. During Open Chats please come and go anytime you want to. Please check our Homepage under “Coven Life Events” for dates and times of the open chats. Once the circle starts ALL SOCIALIZING AND COMMENTS must stop unless you see the word EVERYONE come up in the ritual feed. You will get one warning if you break this guideline. If you do it a second time you will be asked to and expected to leave the gathering immediately. There will be no exceptions to this guideline. If you do not leave you will be banned forever from ever entering Coven Life’s chatroom again. No one should enter or leave the chat room from 7:00 PM CT until the circle is finished. To enter or leave the chat room (your computer or internet provider knocking you out of the chat room during this time is the only exception for re-entering the circle) during this time breaks the circle and whoever is leading the circle needs to take their time and energy to close it up again. All electronics in the room you are in during the sacred circle part of the gathering should be shut off except for the device you are using to access the chat room. No one will be allowed to use hurtful or, discriminatory or foul or rude language in the chat room at any time during an Esbat or Sabbat gathering. Anyone not following this guideline will be told to leave the socializing time or the ritual immediately and be banned from the chat room immediately forever. These are simple guidelines and show courtesy to all coven members and visitors. Not obeying all of the guidelines can get you banned from the Coven Life chatroom forever. This is not a place to try to hook up with anyone for a date! Please read all Curtsey Guidelines above before entering the chatroom for coven gatherings or open chats. Thank you! We answer all emails as soon as possible. Under no circumstances do we do any type of spells and/or rituals for individuals/ So please do not even ask us if we would.